Social media is a wonderful tool for research, education, and building connections with people from all different walks of life. It’s also a great way to make your friends insanely jealous and show off all the cool stuff that you’re doing. This listicle is for those who may be interested in sprucing up their Instagram game a bit on the next weekend in Atlanta. Unlike popular art instillations like Infinity Mirrors or 2 Chainz’ Pink Trap House, these spots will be around for a long time so you can take your time getting your photos just right. The single most important aspect to making a regular photo look Instagram-worthy is getting the lighting right. On the roof of Hotel Clermont you’ll find some of the best light in the city riiiight around sunset every Thursday through Sunday. Grab a friend or a drink (or both) and head to the west side of this hip rooftop hangout and go nuts when the sun dips behind the Midtown Skyline. No filter will be needed for this one. The Georgia Aquarium more than 100,000 creatures residing in 10 million gallons of water and endless possibilities for the perfect Instagram post. You can get an undersea view of the only whale sharks outside of Asia in the Ocean Voyager tunnel, get moody and psychedelic in the gorgeously lit jellyfish display, or see if you can get a naturally smirking whale shot to pose with you. Just don’t tap on the glass. This might be one of the most photographed spots in all of Atlanta but there’s a good reason for that. It looks awesome. 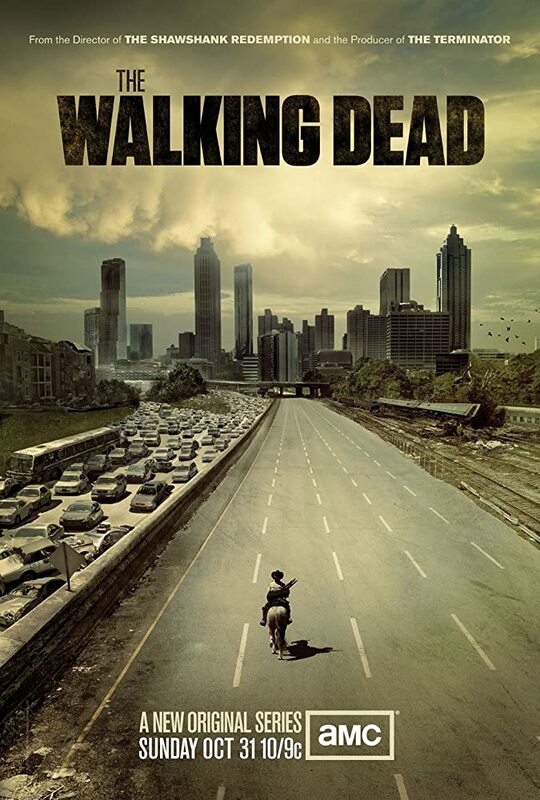 Atlantans and visitors flock here for photos of all types—inspirational skyline shots, album covers, engagement photos; it was even used as the basis for the poster for season 1 of The Walking Dead. Local tip though, the light can be tough here after mid-morning. Head there for sunrise for your best shot or wait till dusk and prepare to do a long exposure. This old news to anyone who’s ever attended DragonCon but, man, the atrium in the Marriot Marquis is crazy. The hotel was designed by iconic Atlanta architect John Portman Jr. and features one of his signature design elements, an atrium that extends for the entire height of the hotel. The careful placement of the balconies plus some exquisite mood lighting give the entire building an undulating feeling that changes as you move around the lobby. It’s really something that needs to be experienced, whether your going for Instagram likes or not. Did Hitchcock get the idea for Vertigo(1958) from Atlanta MM? There’s nothing like a good food shot to rack up Instagram likes and the dishes at Momonoki are tailor made to make everyone double tap. There’s big comforting bowls of ramen, fun and funky pastries like the yuzu chocolate croissant or the strawberry matcha mille-feuille, even matcha and sesame swirl soft-serve cones. It’s colorful, playful food and, great news, it’s all really good too. Black sesame & matcha swirl with matcha brownie Sunday! Was this article written as an excuse to share this picture of the author? Possibly. Should you still go to the Atlanta Zoo regardless of the author’s intentions? Definitely. The Atlanta Zoo is full of wild and wonderful creatures like century-old tortoises, silverback gorillas, and pandas both red and traditional. But your best shot at Instagram fame will be at the giraffe exhibit where you can purchase leaves to feed to their giraffes for just $1 each. You get your photo; the giraffes get a delicious treat. Everybody wins. Happy Birthday @maxfieldnewell !!! I got you a giraffe!! Head to the Goat Farm Arts Center for a chance to disappear inside the Atlanta City Limits. This 12-acre facility was once a manufacturing facility but has now been converted to studio and performance spaces for Atlanta-based creatives. There are a million nooks and crannies to take a good photo here as well as real, live, Kudzu-eating goats, and a cozy library-slash-coffee-shop. Not to mention the back of this place has a fantastic non-Jackson Street bridge view of the Downtown skyline. The soaring brick walls, sheet metal roofs, and the occasional busted window have been used in big budget productions like The Hunger Games and, again, The Walking Dead so sure you can snap a good shot or two here. Compared to The Goat Farm, The Bakery is a relative new comer to the Atlanta arts scene but they hit the ground running. This space was once, you guessed it, an industrial bakery but now it’s home to creative projects and instillations of all shapes and sizes. Come for the whimsical cloud themed seating areas, magical patio space, and some of the best concerts in town, stick around for arts education seminars and experimental films and performances. This is a DIY, community supported space so please consider making a donation if you just want to head here for a picture. Whether you’re in town for the Super Bowl, a Beyonce concert, or an Atlanta United Game, you’re in good hands at Mercedes-Benz Stadium. Outside you’ll find the largest statue of a bird in the world. Inside you’ll get a massive 360-degree video board and one of the rowdiest crowds in the Southeast. Oh and $8 Big Tex sandwiches at Fox Bros. Bar-B-Q. Do not miss Fox Bros. Bar-B-Q. It’s the Fabulous Fox Theatre! Both inside and out, this historic theater is worthy of both your Instagram story or the full-blown feed. Get a picture under the bright lights of the marquee or go for the real deal inside the Arabian-themed theater complete with dark blue sky ceiling and twinkling “stars.” It’s one of the older and most beloved buildings in Midtown and you’re going to love it no matter who is playing here. We’re keeping the exact location for this spot a secret. But some internet sleuthing and a bit of shoe leather should lead you to this stunning overlook of the city. The exact spot of these photos sits in an empty lot between two homes so please be respectful when you do find it. But the owners here know exactly what they have in their backyard and seem happy to share the view with aspiring influencers. This picture doesn't move. But maybe it does.